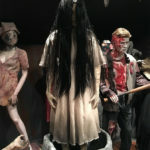 She will haunt your dreams. 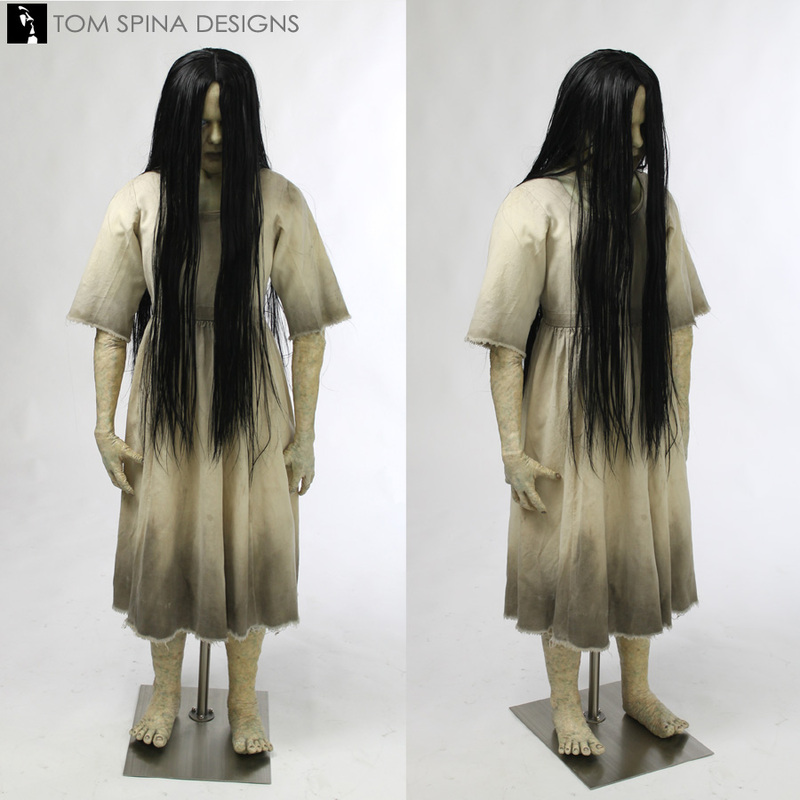 A custom mannequin to display a screen used The Ring Samara costume. 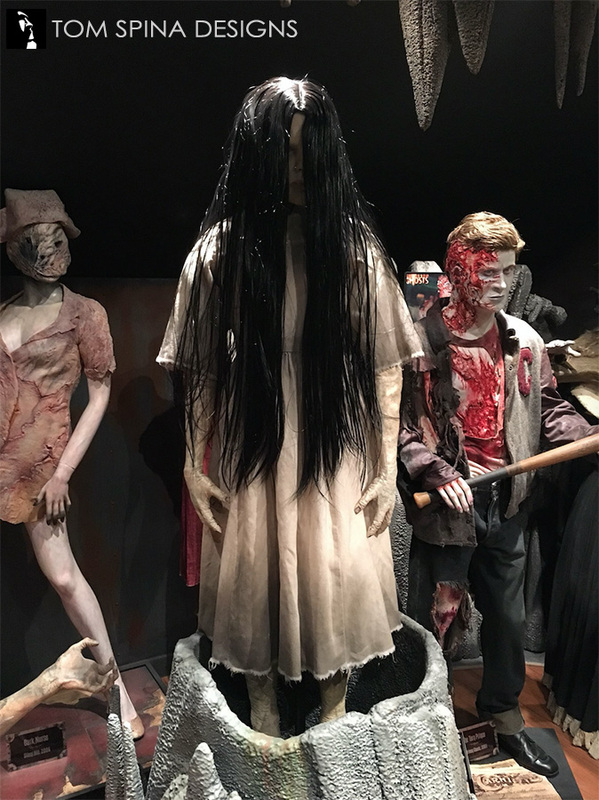 Our client for this project is a huge horror fan and collector who sent us original movie props to turn this The Ring Samara costume into a fittingly scary display! 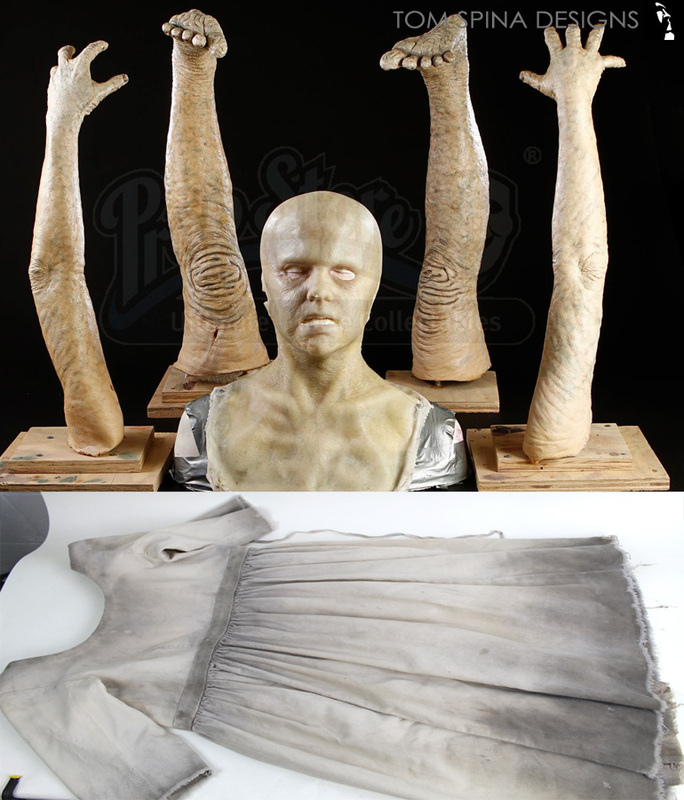 The owner had the screen used dress and won the creature makeup legs, arms and mask from Prop Store’s Rick Baker auctions. 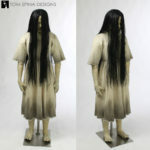 We brought these together to make it look like she had walked right out of the television! 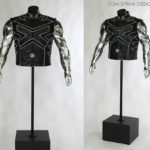 We started by gently supporting her arms and legs with archival batting and aluminum armatures, to help the delicate material retain its shape. 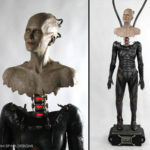 The armature supports in the arms and legs would be attached to a rigid urethane foam mannequin torso which we shaped to properly fill out the small sized dress. We also sealed the foam latex material on her sculpted arms and legs to help those props age better over time. 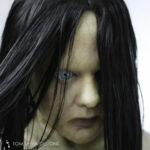 Although the facial appliance (a silicone nearly full head mask in this case) was supported on a life cast of actress Daveigh Chase, the life cast was made of a cement like material, likely Ultracal 30. 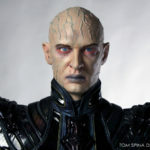 While that’s fine for molding during movie special effects makeup work, it was too heavy to be used for a mannequin. 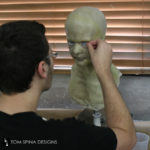 So we used this life cast to create another copy in a lighter material that would support the mask but would also be able to be used with the mannequin torso. 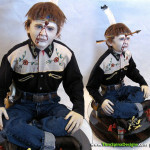 Once we had this “under skull” created, we added a pair of ghostly pale blue custom glass eyes. 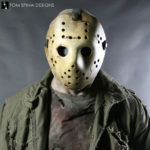 We fit the eyes into the under skull and sculpted eye lids and the surrounding material so the transition between the eyes and the mask were practically seamless. 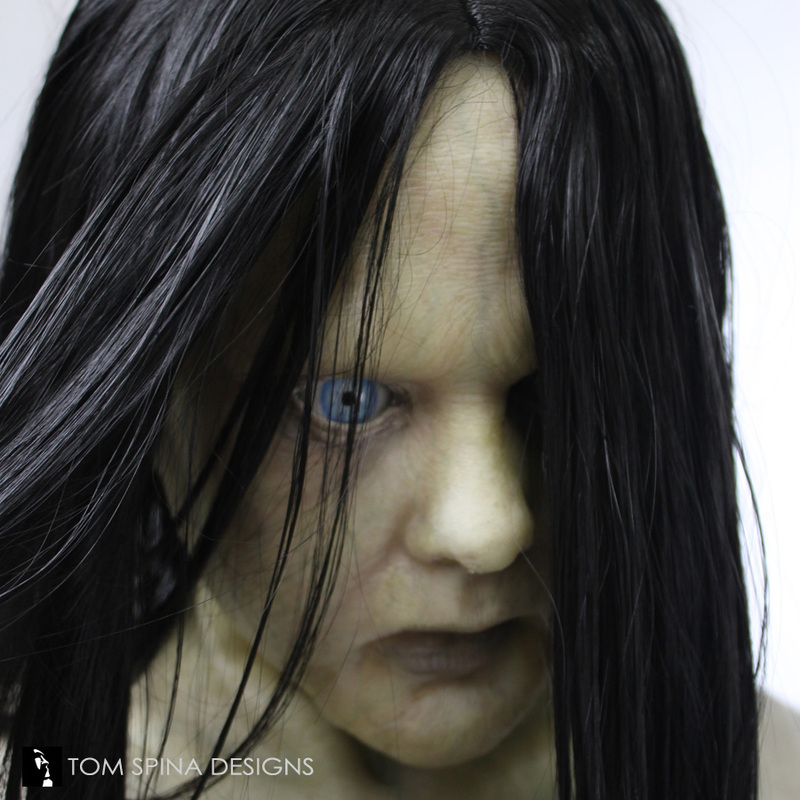 We finished this life sized statue with a long dark, wet looking wig to give Samara her signature look… like she just crawled out of a well, hungry for revenge!